Abe' Place – Best Pizza! Period! We are open 7 days a week at 10am. Sunday through Wednesday we close at 9pm and Thursday through Saturday closing at 10pm. We opened our doors in 2012 serving Leavenworth county and beyond with our original menu. 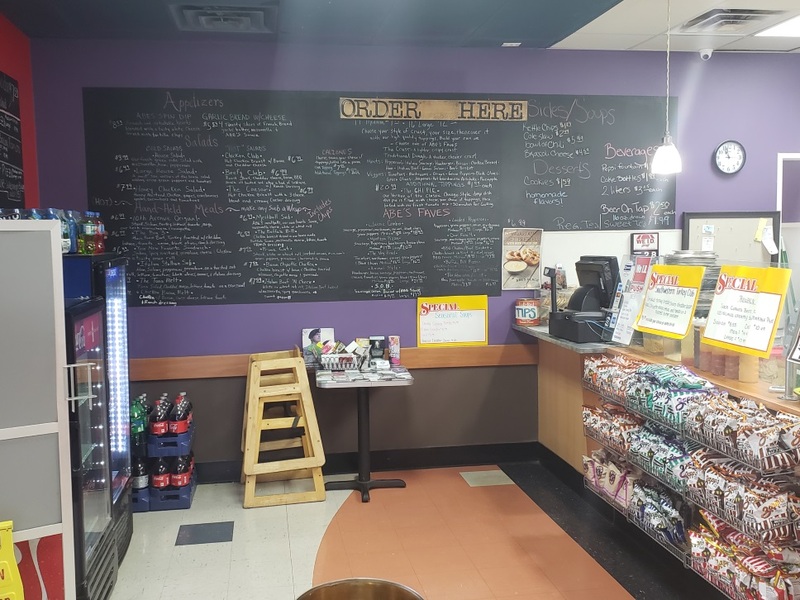 Over the years we have added other staple menu items suggested by some customers such as baked wings, pretzels with craft beer cheese and pasta bowl meals to name a few. Today we still offer many dough styles for our pies. Our thin offers a back east chew texture loved many customers others prefer the Traditional crust which we hand braid that has double the dough, some dine in customers enjoy local honey on the crust! We also offer a Chicago Style deep dish " Chi-Pie" that boast over 3 pounds of whole milk mozzarella for the cheese lovers. Calzones are also a cheesy favorite with our sauce served on the side.In addition to our pizza options we offer Hand Held Meals that have oven sizzled meats that are included with stone toasted rolls and bread. We have hot and cold salad options with all hand cut romaine and toppings. If you have never tried a Crab Rangoon Pizza( cult following) we serve them daily. Inspired by a friend of the store who had one in Iowa we developed our own version with chives, cream cheese and lobster seafood recommended on our thin crust. We look forward to seeing you at our one and only location where we work hard daily for each customer. Call Abe's for all your catering needs. sack/ box and tray lunches available.